There is a day left until Mother's Day. If you are looking for a great gift idea then I would suggest you check out L'Occitane because they have many gift sets ready to give to your mom. Your mom might like the Terre de Lumière L’Eau Gift Set that comes with a full size (90ml) Eau de Toilette, Deluxe size (50ml) Body Milk and (50ml) Shower Gel. 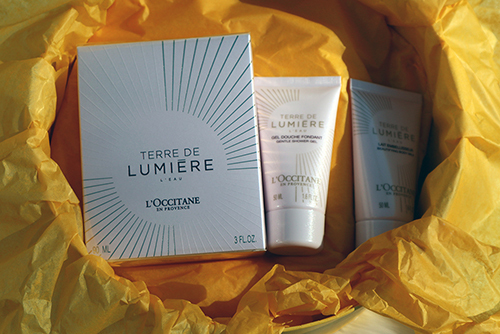 You might recall L'Occitane launched the limited edition Terre de Lumière, The Gold Edition, last holiday season. The Gold Edition was one of my favourite scent of 2017 that you will notice it has the scent of honey that smells amazing. 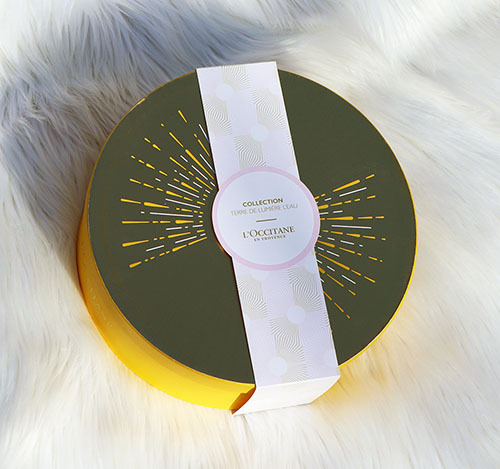 If you like the Golden Edition, you may like the new floral Terre de Lumière Edition. The bottle has the same pretty shape and the bottle is pink and white instead of gold. It has a pretty floral scent that is perfect for Spring and Summer. 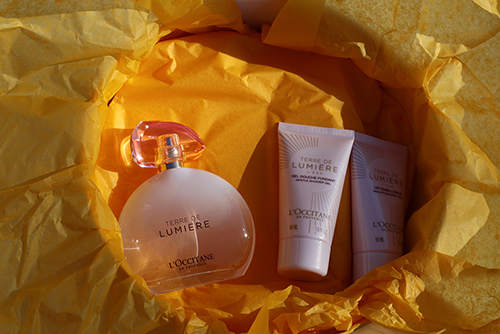 Terre de Lumière L’Eau Gift Set ($99): This gift set, featuring L’OCCITANE’s new floral fragrance –Terre de Lumière L’Eau– represents that special moment in Provence when the sun’s rays rise gently over the horizon and the air is filled with a delicate, sweet floral scent. This set includes Terre de Lumière Eau de Toilette, Shower Gel, and Beautifying Body Milk and Purse Spray. Such lovely gifts for Mothers Day Thank You. Happy Mother's Day To You & All Your Followers !!! Are they going to release more scents, for this? Such beautiful gifts for Mothers Day, thank you for the suggestions...hope you had a fabulous day!!! Would love to try this line!! That would make a great mothers day gift! The honey scent of The limited edition Terre de Lumière, The Gold Edition sounds lovely. L'Occitane has so many nice products. Awesome...a great gift it would make! Sounds like a wonderful gift for anyone! My mom would like this, nice products. This is something my mother would love, they sound very nice!! Would be ideal for male version of same - Great Father's Day Gift. I really need to try their product! Those are nice gifts for Mothers Day!